According to the Gallup 2017 Digital Workplace Survey, 31% of senior executives state their biggest workplace challenge is the lack of “Cross-Departmental Collaboration”. The same survey reported that 33% of executives stated their biggest digital priority was “Enterprise Social / Real-Time Collaboration”. My experience working with organisations of different sizes is that enterprise wide collaboration is fragmented and inefficient. There are usually multiple collaboration technologies existing across different departments. Emails and SharePoint are used to track document submissions and approvals which is highly manual and inefficient, leading to PMO staff spending far too much time on project administration. 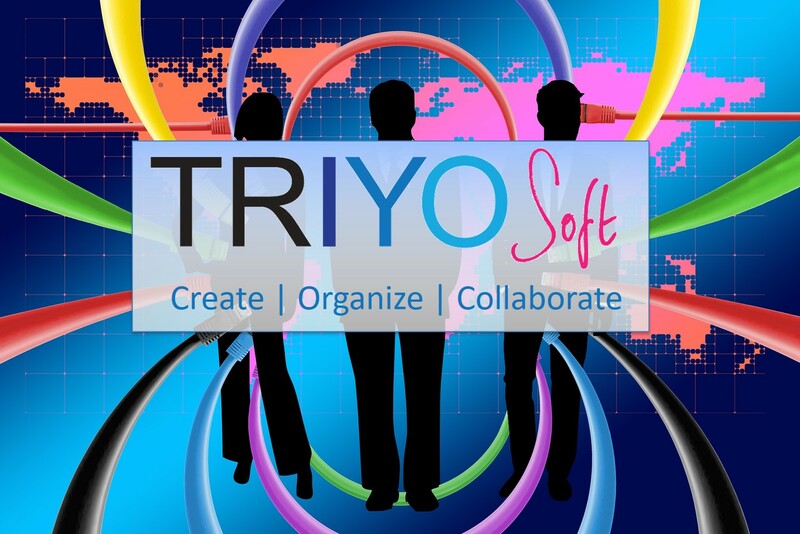 Triyo has been developed to hit the sweet spot between document management and project management, providing an enterprise wide, end-to-end collaboration platform. It features all of the functionality you would expect from a project management tool, summarised in the box below. However, what makes it unique is in the way it combines task management with document editing and workflow. Many project environments have the creation of documents as core parts of their deliverables. This could be a project to introduce a new policy and procedure framework for a financial services firm; the listing of a company which requires many complex documents to be produced; buying or selling a property; or even just the process of producing a quarterly board report. All of these project examples share similar attributes; namely the creation of Microsoft Office documents. These Word, PowerPoint or Excel files can be lengthy and complex. They usually require the input of multiple project stakeholders and need to go through an approval process before the final version can be issued. How does this happen in most organisations? Think of the process for a quarterly board pack. The Company Secretary will take the PowerPoint presentation produced for the last quarter and divvy it out amongst those needing to report. The heads of Finance, Operations, HR, Sales, Production etc will all have to provide their updates. The Company Secretary has to manage this process and manually keep track of all the edits to the final document. This is not easy, less so where content providers are located across multiple jurisdictions and time zones. More importantly it takes up valuable time that is nothing more than an overhead. Triyo manages the complete process enabling the ‘project manager’ to create tasks around different sections of the source document. Sections, slides or even single paragraphs of the original document are assigned to the team members. Edits can be reviewed and approved before Triyo automatically merges them back into the final version. This process is detailed in the diagram below. Triyo also allows communication between team members, tracking of changes and a full audit trail of the process. Comments can be added to tasks and two way communication is enabled between team members using a ‘chat’ type interface. Using financial services as an example, banks have a number of onerous regulatory reporting requirements. These reports come from different areas of the bank and need to be aggregated, reviewed and approved before being submitted to the regulator. With requirements changing regularly it is difficult to have this codified into a database system. But Triyo can streamline this process using the report document as the driver for the process. Triyo has been developed by a small team of technology entrepreneurs from Canada, with a track record of previous successes. It is being used by several organisations in North America and there is strong interest from many more multi-national operations. Solitaire Consulting is working with Triyosoft’s European subsidiary based in London to develop specific use cases and features for this side of the Atlantic. Triyo is built using Microsoft technologies and can either be hosted on-premise or in a Microsoft Azure based Cloud. It has a subscription based licensing model with a number of different options depending on the feature set required. More information can be found on the Trio website. If you’d like to see Triyo in action please contact me and I can arrange a demonstration. The product is extremely easy to use and in less than 15 minutes you will be able to immediately see the benefits. Everyone who has seen Triyo agrees there is nothing quite like it and it addresses a real business problem. Don’t delay, contact me now and see for yourself. 3 ways to accelerate your digital transformation Collaboration – why being self employed need not mean working on your own Software Costs Estimation In Agile Project Management When do you celebrate project success?